You all remember Invictus, the fabulous film directed by Clint Eastwood, which recounted Nelson Mandela’s success when South Africa won the Rugby World cup in 1995. 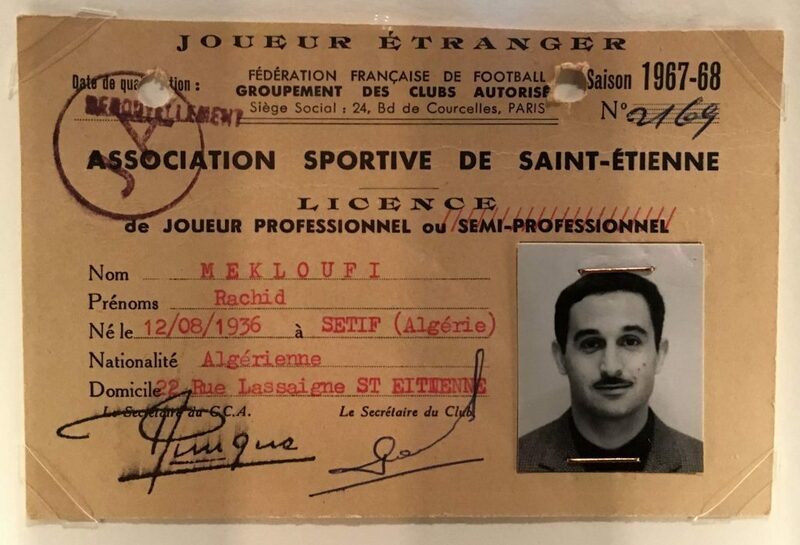 Sport changes men’s attitudes and this is what Rachid Mekhloufi, star footballer who played with AS St Etienne tried to prove in 1958. He and Mustapha Zitouni left a successful career in France to join the first Algerian football team the FLN. 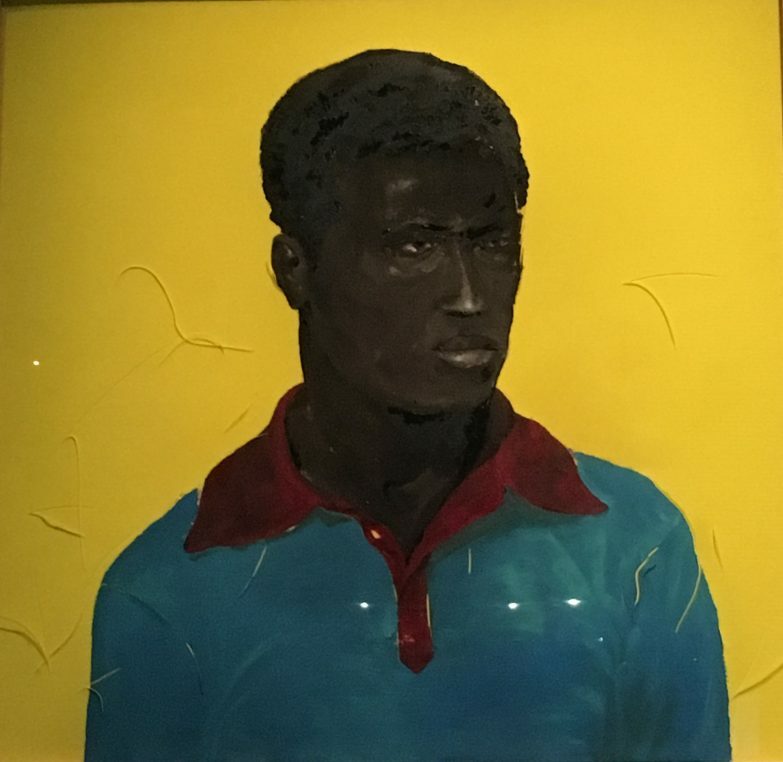 The exhibition at IMA (Institut du monde arabe), “Football and the Arab World” is beautifully organized with a giant screening room featuring Zinédine Zidane‘s 90 minute film by Douglas Gordon and Philippe Parreno lent by the Guggenheim museum, and many aspects of football as a political tool. 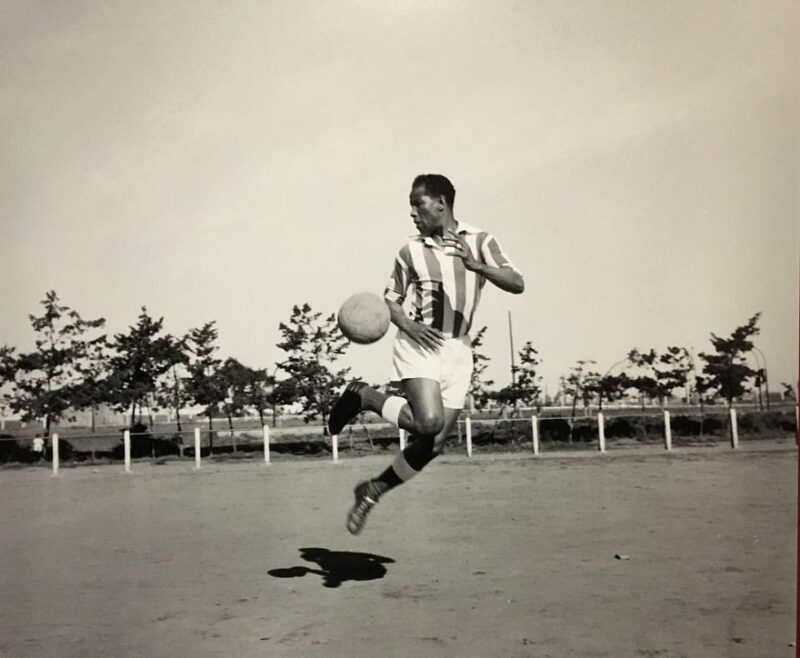 When 12 star football players from Algeria met in Tunis in 1958 to help their country become independent, the new FLN team was immediately banned by FIFA. But they nevertheless managed to play eighty matches around the world including in China. This was a strong signal to Algerians and very symbolic for French public opinion. Their football heroes had left to join their countrymen. The team was finally officially recognized in 1962 when Algeria became independent. Egypt is another country explored in the exhibition. 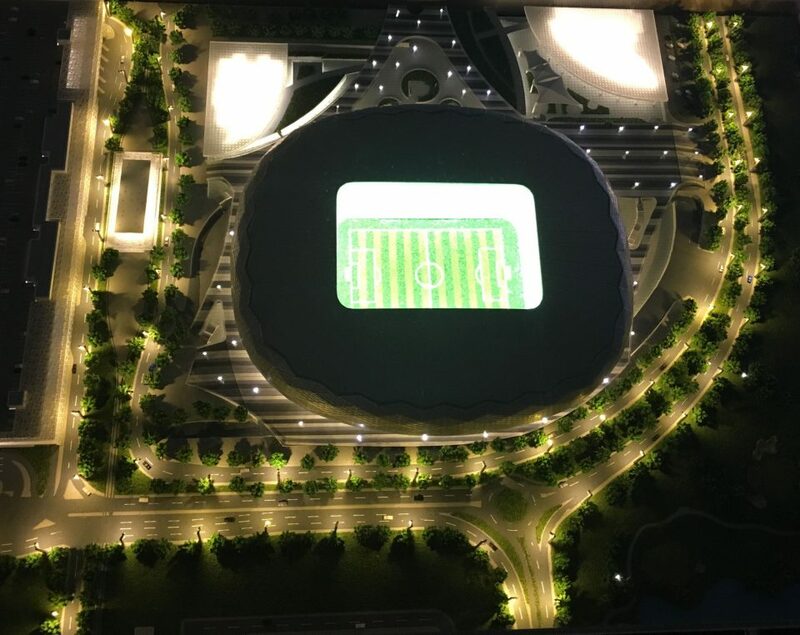 Since the founding of the Al Ahly Sporting club bin 1907, it has shown a true passion for the sport. Today, Mohamed Salah, who plays for Liverpool is a huge star at home. In Lebanon, the Nejmeh SC proved to be a model of unity in a country with multiple ethnic divisions. 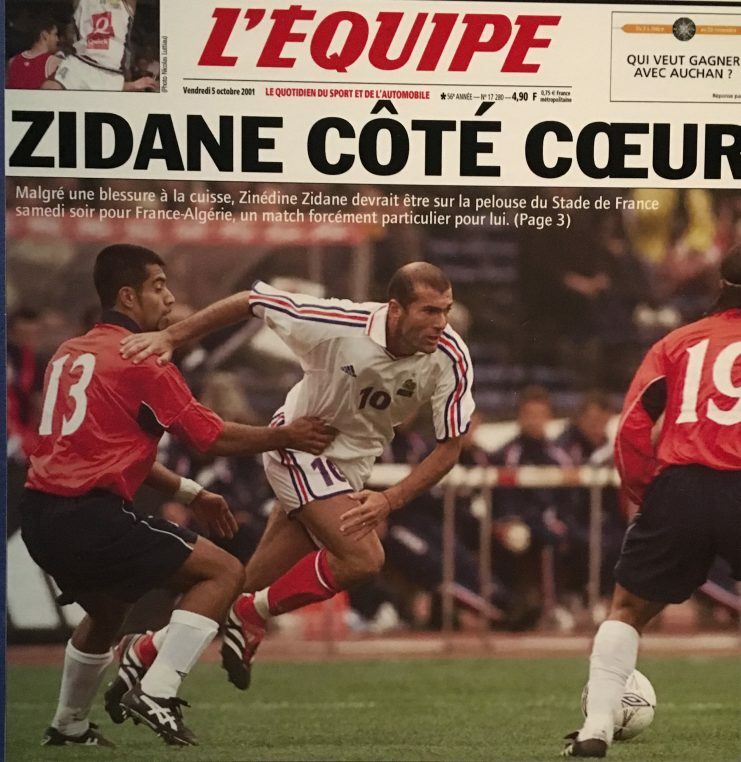 The victory of the French in the 1998 World Cup consecrated Zinédine Zidane, the “Black, Blanc, Beur” generation (black, white, French born North African). Everyone became interested in the World Cup because of him and his return to Madrid last month for the second time as a coach, is another proof of his genius. 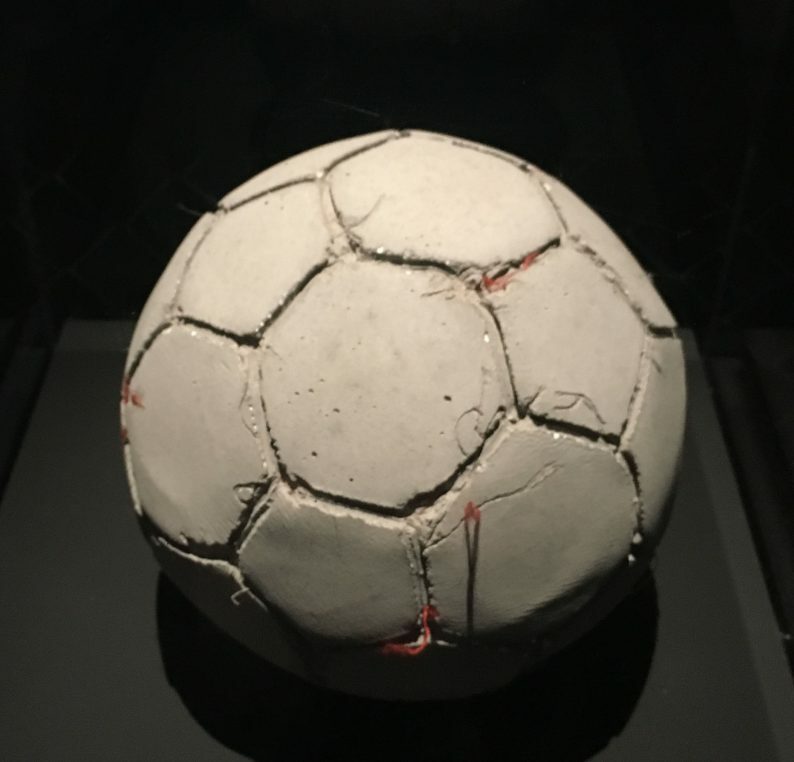 Palestine is also prominent with artist Khaled Jarrar who made a Football out of reconstructed concrete taken from a wall he destroyed, which represents the apartheid wall onto West Bank. He lives in Ramallah and exhibited around Europe at the Whitechapel Gallery, the Venice Biennale, etc. Photographer Amélie Debray reported on graffitis in Palestine including a girl’s school where football is recommended. Her series “Surface de réparation”, ( a pond on penalty area and repair area) shot in 2011, describes passion shared by young Palestinians, the indigence of their equipments, their determination to keep playing. 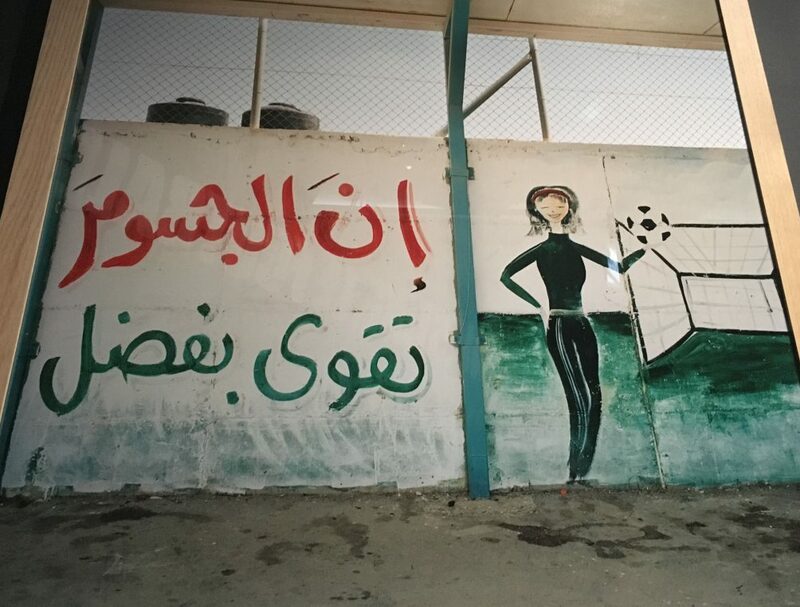 “Freedom through football”, the Al Fawar and Qalandia refugees camp, are all eloquent. She is represented by Galerie du Jour, Agnès B. Today, after three waves of recruitment, from the late 60’s to now with 25 year old Nabil Fekir playing for Olympique lyonnais, French football benefits hugely from the Arab world. 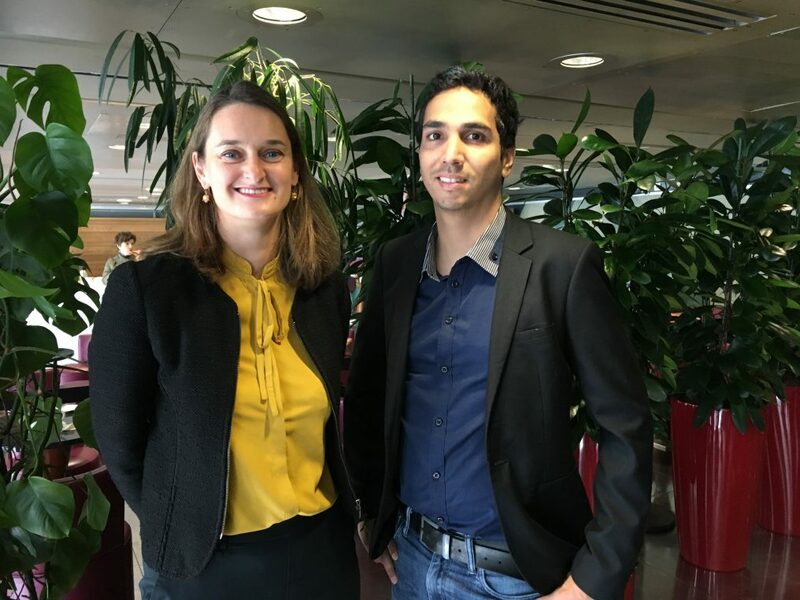 Women’s football is advocated in Jordan where there are now 600 registered players and they will participate in the World Cup hosted by France next June 7 to July 7. A fashion section includes all the shows inspired by players to Indian designer Manish Arora. Until July 21, Institut du Monde Arabe.